Continuous innovation over the past 10 years has radically transformed the entire commercial model, changing the way pharma and customers connect. Explore this interactive Commercial Innovation Timeline to learn more about ground-breaking commercial innovation. Veeva is introducing a very exciting change to Veeva CRM with Real-time Sync (background sync) starting in 19R2. Looking at how new ways to manage field activity in Veeva CRM can improve productivity and adoption. Simple, Integrated & Effective: Bringing remote engagement into your multichannel mix. Learn how to give your commercial teams more control of the business process by reducing the administrative burden of alignments, accurately allocating resources to support customer engagement, and enhancing the rep experience. Gain more insight into the innovative and flexible way, in which Veeva Multichannel Account Management in CRM can improve the Effectiveness / Efficiency of your customer-facing teams. Learn about the new features and enhancements being delivered as part of our 19R1 release. Discover how Veeva CRM MyInsights delivers an effective, easy-to-use way for field teams to better understand their territories. Deep Dive on Veeva OpenData where we will show you an overview of the end to end integrated process between Veeva CRM and Veeva OpenData. Learn how to assess how well your teams are using Veeva CRM in order to optimise use and improve performance. Explore some of the product and feature highlights from 2018, that could have the most impact on your Commercial journey. Improve visibility on which channel activity provides the most value for your targets with this interaction-based calculation approach. Improve account-based selling by enabling collaborative planning, execution, and progress measurement across commercial teams. Learn how to innovate multichannel consent with Veeva CRM. Deliver personalized content without the regulatory risk of traditional email. Find out how quality customer data integrated with Veeva CRM improves your rep productivity and CRM adoption. Create faster alignments, deliver end-to-end multichannel cycle plans, and provide rep feedback directly from Veeva CRM. Create more meaningful interactions with engaging, fully-optimized content. Provide your teams with the insights they need to make informed decisions with fully customized reports and dashboards. Manage strategic accounts with account-focused plans within a single, collaborative framework. Discover how to leverage Veeva functionality to successfully launch a new product or indication. Plan and execute events with control and visibility of all speakers, attendees, activities, and spend. Learn how your business can benefit from the new User Interface with improved usability, adaptive design and actionable information. Discover how you can drive your Customer Engagement with improved digital content. Learn how to manage your data in a compliant way, now that the GDPR is in force. Learn how to support multichannel go-to-market strategies with a more flexible and agile approach for field execution. 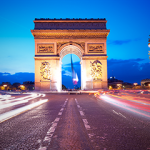 Learn about the new features being delivered as part of our 18R2 release – French. Learn about the new features being delivered as part of our 18R2 release. 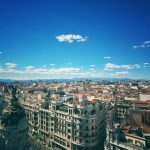 Learn about the new features being delivered as part of our 18R2 release – Spanish. Discover how to Improve the gathering of key data and reduce research costs, by using the power of Veeva CRM’s innovative Survey functionality, to query customers, as well as internal teams. Learn how Veeva’s field mobility applications – in particular the new CRM for iPhone app – enhance customer experience and field productivity. Check out these short videos to get some tips & tricks and better leverage key features of your Veeva CRM system. 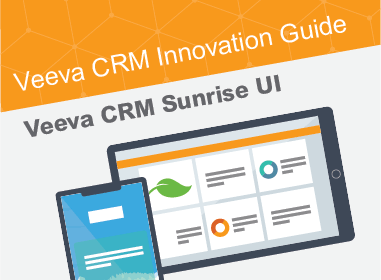 With the new adaptive Sunrise UI, Veeva CRM users have the functionality they need across devices, including smartphones, tablets, and desktops. Read Now. Learn how Veeva CRM MyInsights can help you turn customer data into tailored insights at the point of planning and decision-making, driving better execution. Read Now. Veeva CRM Approved Email enables you to send tailored, approved content to extend your personalized interactions with customers, directly from Veeva CRM. Read Now. Veeva CRM Suggestions provides field teams with smart recommendations for better and more tailored engagements with healthcare providers. Read Now. Learn how the Timeline View for Veeva CRM provides an intuitive, 360-degree view of HCP interactions.Read Now. Learn how CRM MyInsights for Medical Affairs provides tailored insights directly in Veeva Medical CRM.Read Now. Summit website includes the conference overview, videos, and snapshot of companies who attended. Summit presentations, please check back regularly as more presentations will be available soon. 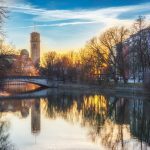 Key announcements on Vault Digital Publishing and Roche selecting Vault PromoMats. Start planning for next year, be the first to hear when registration for 2019 opens and add the conference dates to your calendar.